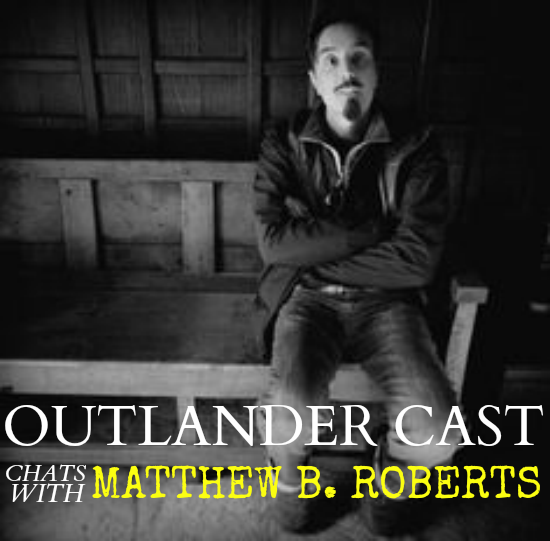 Hosts Mary and Blake chat with Outlander writer/producer Matthew B. Roberts. In this episode, you will learn all about: The Reckoning, the infamous strapping scene and why they chose to portray it they way they did, the differences between being a producer and a writer, 16 year old girls and their crushes, why Claire and Jamie didn’t die of hypothermia, almost killing Black Jack Randall, Dougal and Colum’s problems, Mary’s love of a boy with red shoes, why Matthew called Outlander Cast out and much more!. I really enjoyed this podcast. The writers of this show really excite me. A big thanks to Matthew for coming on and sharing his thoughts, insight into production and his part in bringing the characters to life. Vow = Love for Jamie, *sigh* I for one, am SOOO glad Jamie DIDN'T kiss Loaghaire in that scene by the river. Matt is Team Claire! What a dream job, Matt! After hearing about how wet wool keeps you warm, I hope a future show could include a podcast with Terry Dresbach. I am a big fan of hers as well. Those costumes are so authentic and gorgeous. Once again, Mary and Blake, you did an awesome job.